For the third summer in a row, Conan O’Brien and his show CONAN will be setting up shop at San Diego Comic-Con 2017! 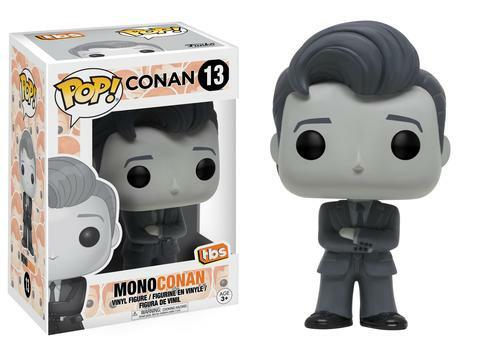 To commemorate Conan’s summer solstice to Comic-Con, O’Brien will be teaming up with Funko to release a third series of Conan O’Brien Pop! vinyl figures. 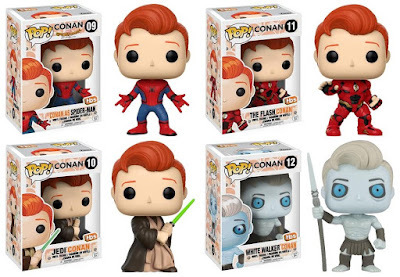 Created by Funko for TBS, a division of Turner, this year's collectible figure designs include Justice League Movie The Flash Conan, a Star Wars Jedi Conan, a Game of Thrones White Walker Conan and a Spider-Man Conan (from Spider-Man: Homecoming). In addition, there will be a limited edition figure entitled, “MonoConan”, which will only be available through activations and giveaways taking place in San Diego. During the week of SDCC, CONAN will be taped at San Diego's historic Spreckels Theatre on Wednesday, July 19 – Saturday, July 22. Episodes will air that Wednesday, Thursday, Saturday and Sunday at 11 p.m. (ET/PT) on all TBS and will be available across TBS and Team Coco's digital, mobile and VOD platforms the day after airing. 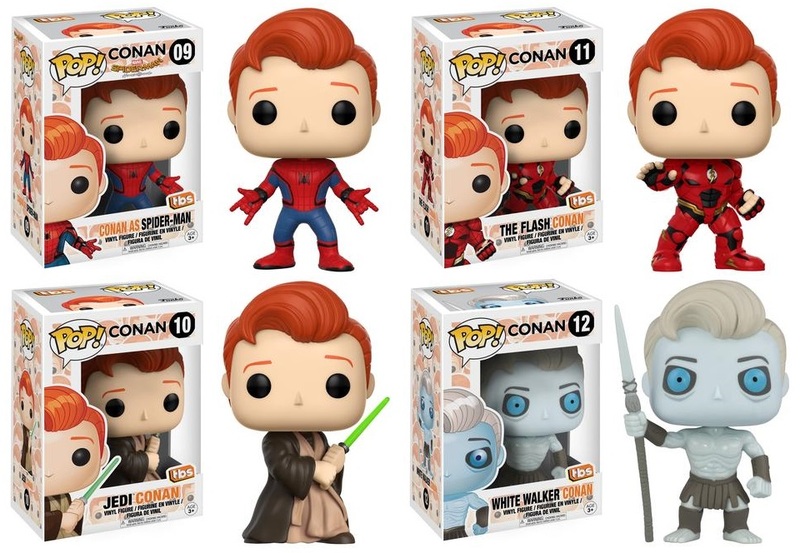 During this year's Comic-Con, these new 2017 Conan Pop! Vinyl figures will be given away to audience members following each San Diego show. While the bulk of the figures will be given away to live show attendees, fans will also have a chance to obtain one of the figures through social activations and sponsor and partner programs.